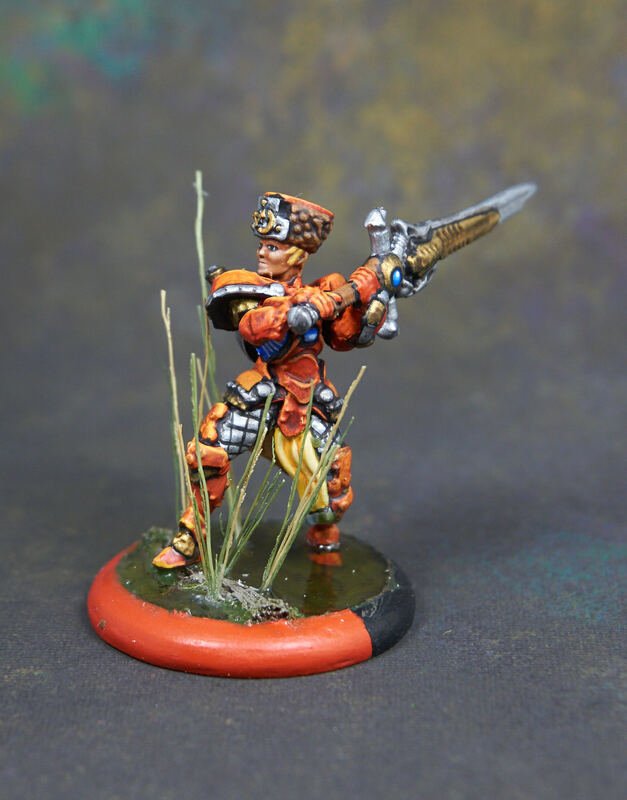 Major Elizabeth Maddox was one of the former Cynaran warcasters to defect to Khador after Vinter the Tyrant’s conquest of Cygnar. 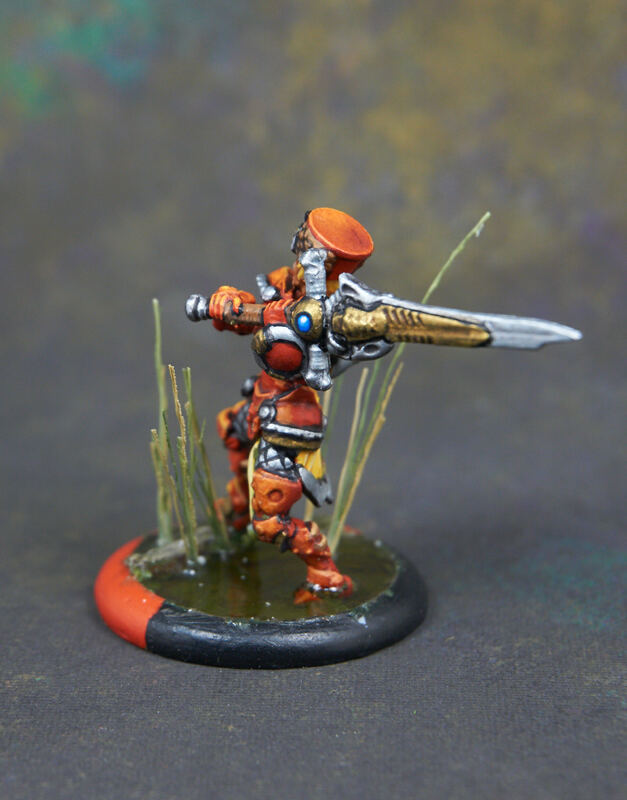 Shortly after arriving, she was whisked away to [Greylord college] to help design magical defenses again new electrical weapons continually being developed by Vinter’s chief warcaster, Nemo. 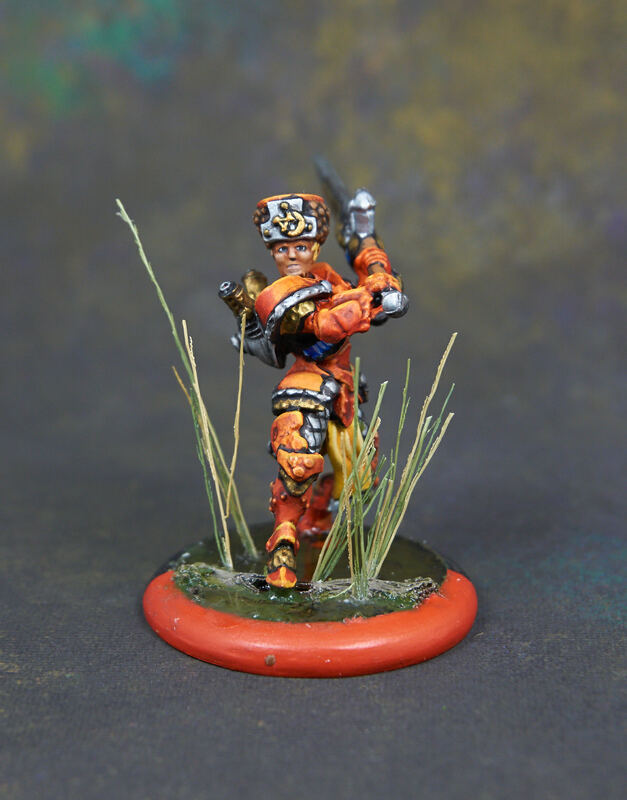 A year later, she was given the honorary rank of Koldun and returned to active duty. Although many of those closest to her picked up on her behavioral and personality changes, most of them attributed it to the stress of losing their homeland and the continuing war. Only a few suspected the truth, and those few were smart enough to keep their mouths shut. 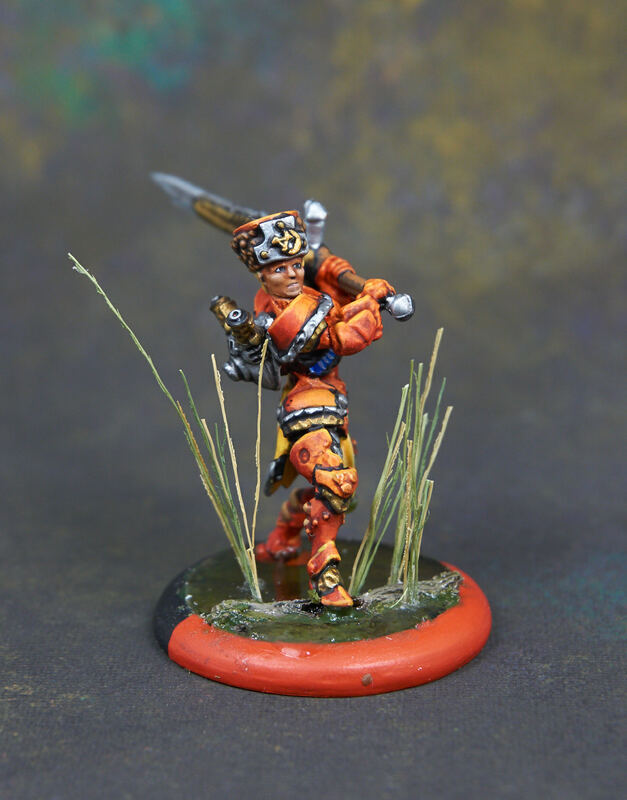 Upon reviewing Maddox’s service record, the Greylord commanders discovered that she had been tortured by Menite priests – first physically, then mentally – they resolved to finish the job of breaking her. 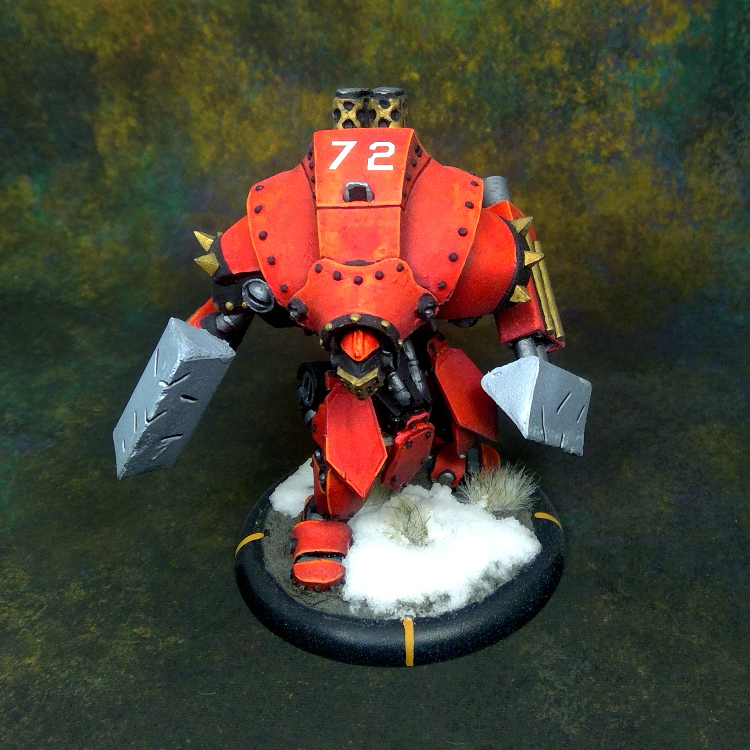 Although Maddox’s spirit was strong, the damage already dealt by the Protectorate was considerable, and the Greylords were able to accomplish their goal. 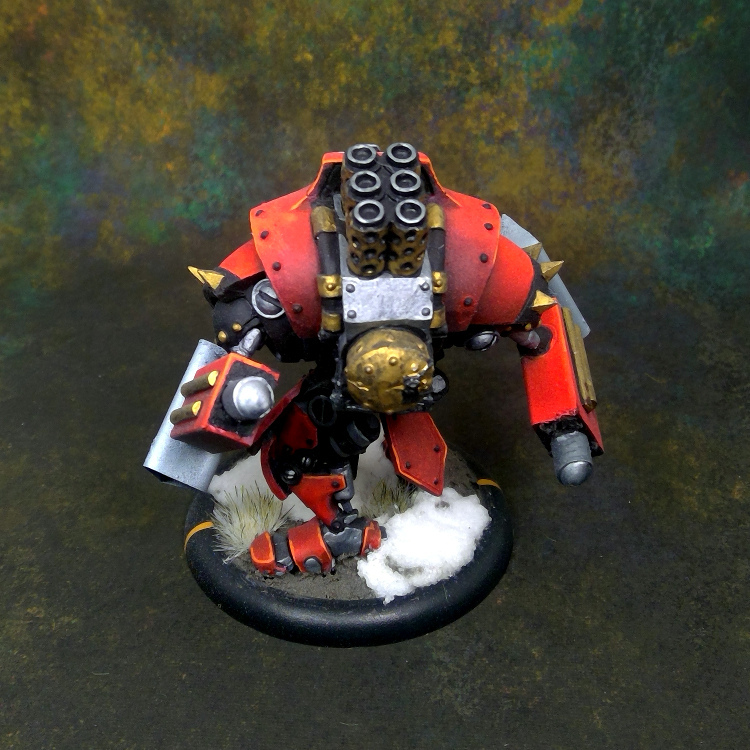 When they released Elizabeta back to warcaster duty, her loyalty was completely centered on the Greylords. During the subsequent war, she undertook many secret missions for the Greylords, sometimes abandoning whole companies of soldiers right before battle. 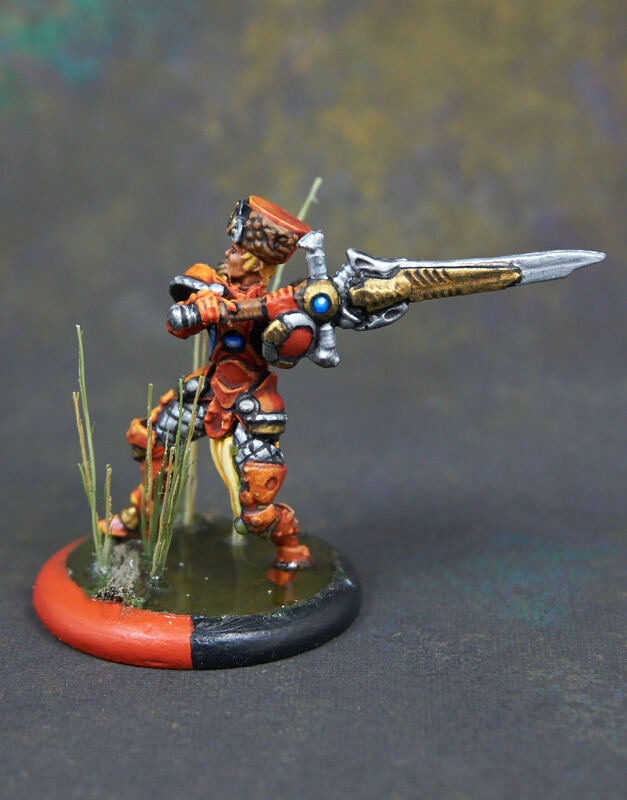 Since the war, she’s gained a reputation as a fanatically loyal Khadoran and a heartless commander. 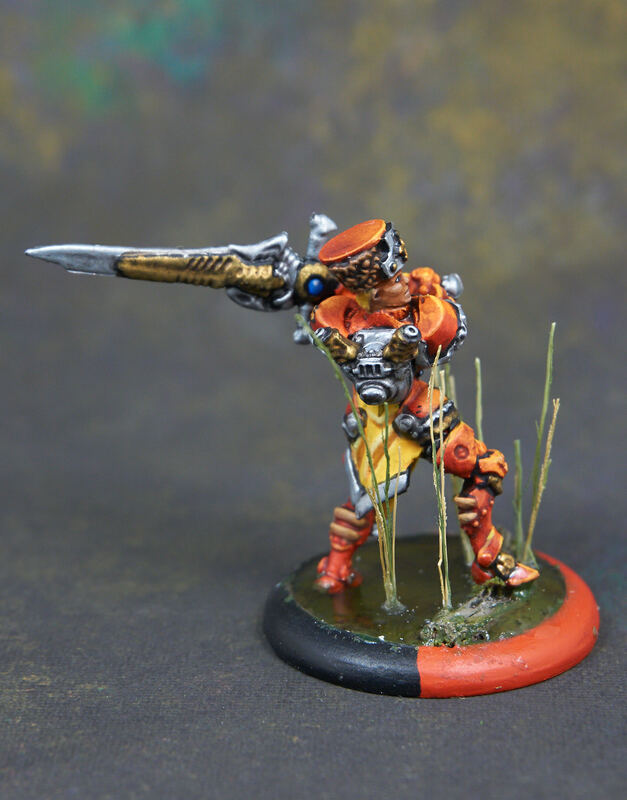 Although she’s been assigned to the province of South Khador, her actions have estranged her from most of her peers and caused the troops to fear serving under her. I’m getting better at swamp bases. I got the correct tool for the job, which helps. 2 part resin water, mixed with a little GW Camoshade. 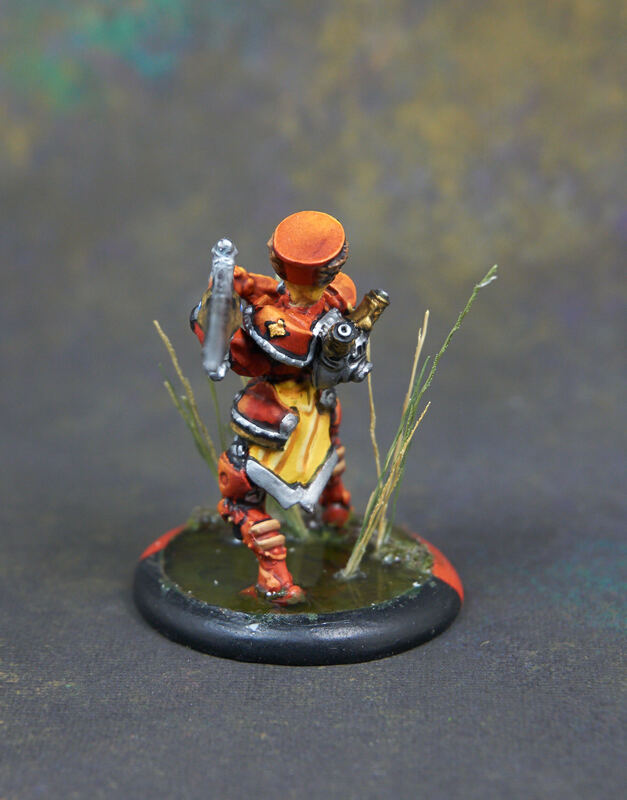 Conversion on Maddox: Forge Seer hat, lose a Cygnus on one of her shoulders, remove a little thingy from her pauldrons, swap out her electrity turbine for a good-old-fashioned coal powered one. 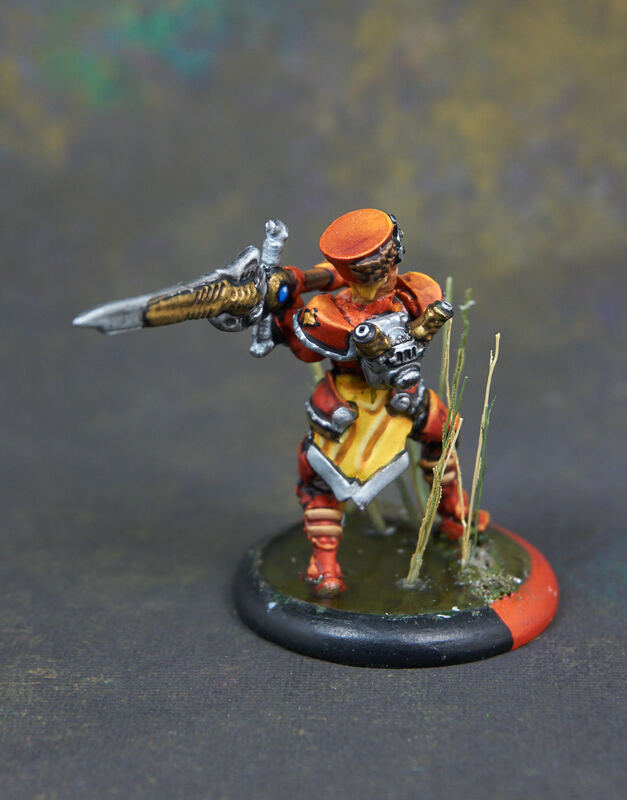 I did a fair amount of painting with two long weekends in a row (even if I was sick for part of one of them). So following will be a bunch of posts about what I accomplished. 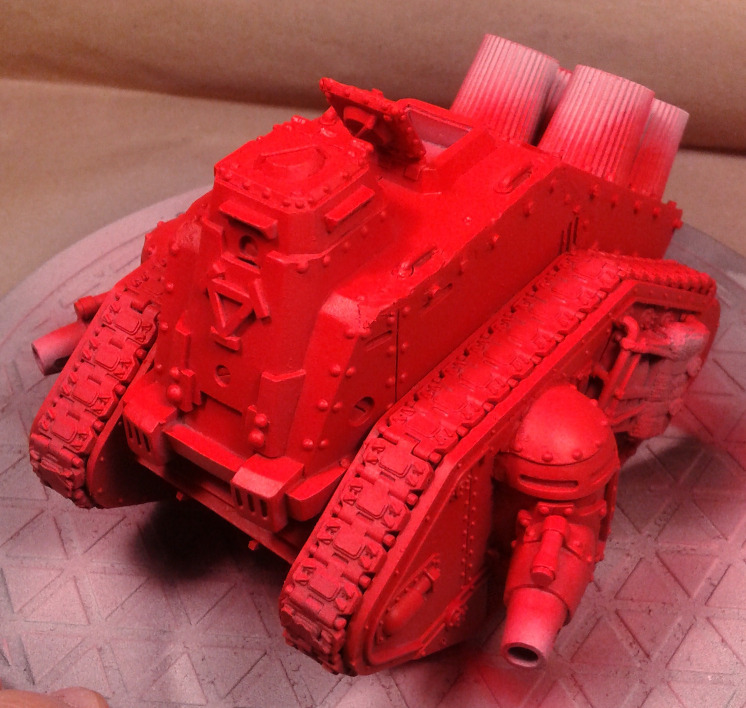 Airbrushed the major colors onto the Gun Carriage. 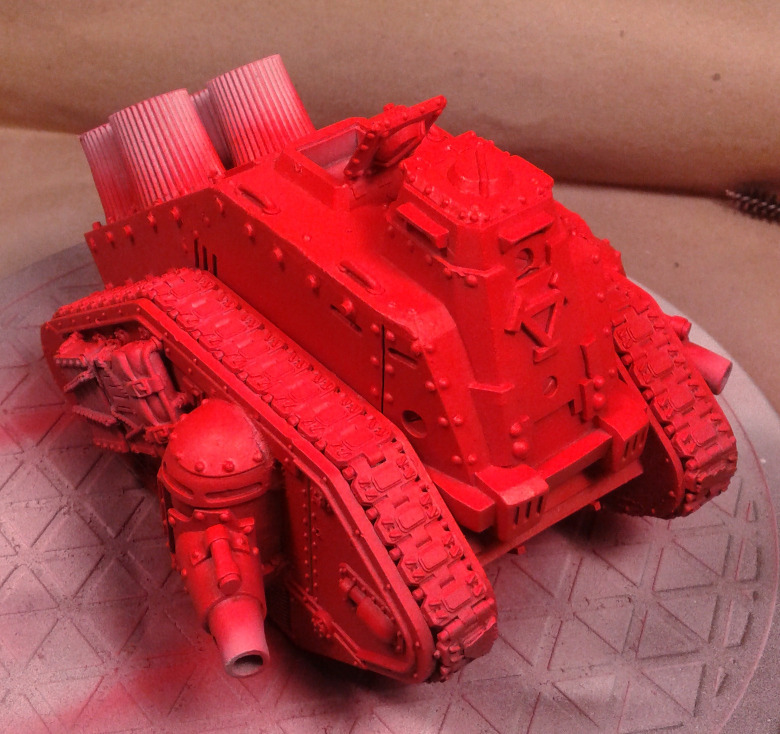 Very dark reddish-brown for the undercoat, then directional white, followed by red ink. 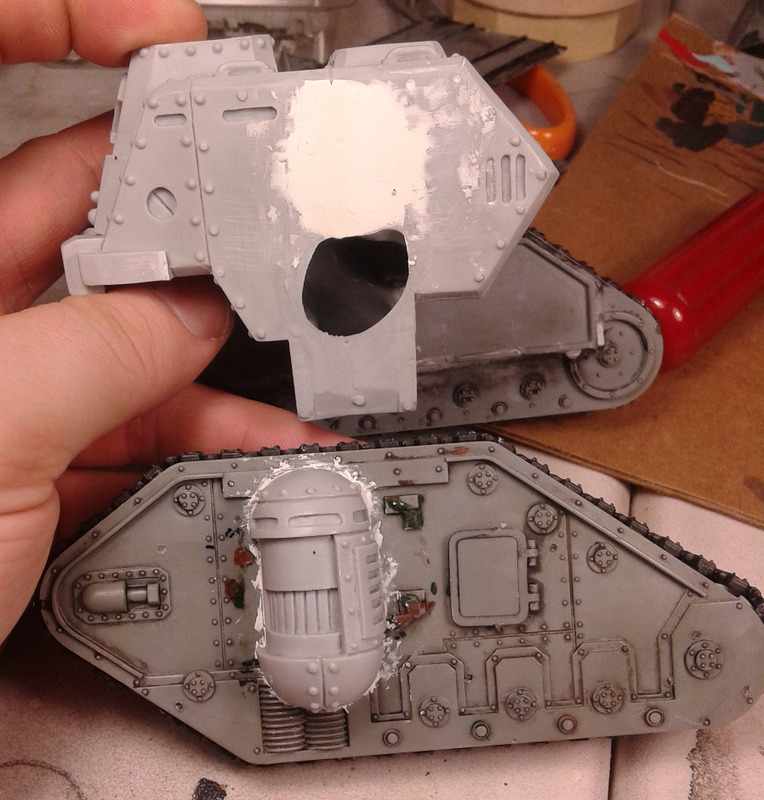 Next steps are filling the gaps between the resin and styrene halves of the chassis and cleaning up some of the styrene rivets. I may also put some “decorations” to fill in some of the empty areas. They look kinda weird now, but I’ll also have options once I get it painted. I might also either square up some corners on the resin or bevel them on the styrene so that the resin and styrene match. It will depend on whether I think I can pull it off without ruining everything. 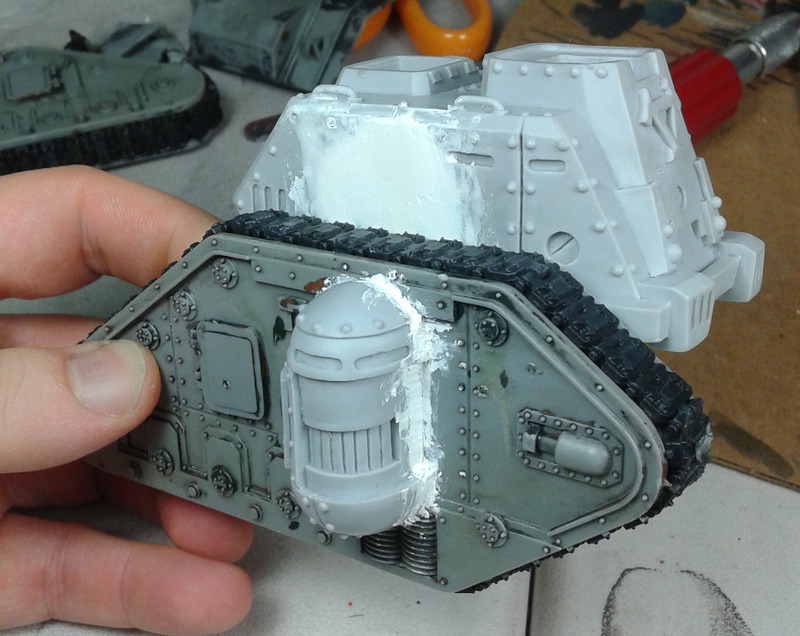 The sniper isn’t actually glued in there yet – he’ll be the only bit I assemble after painting. 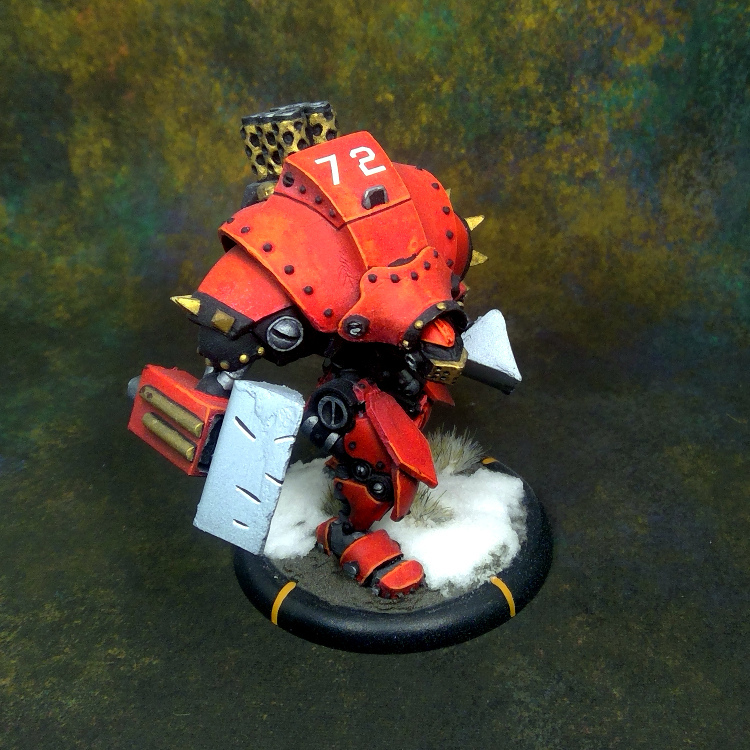 The Gun Carriage has some cool rules, and I like some aspects of the model, but hate other aspects. 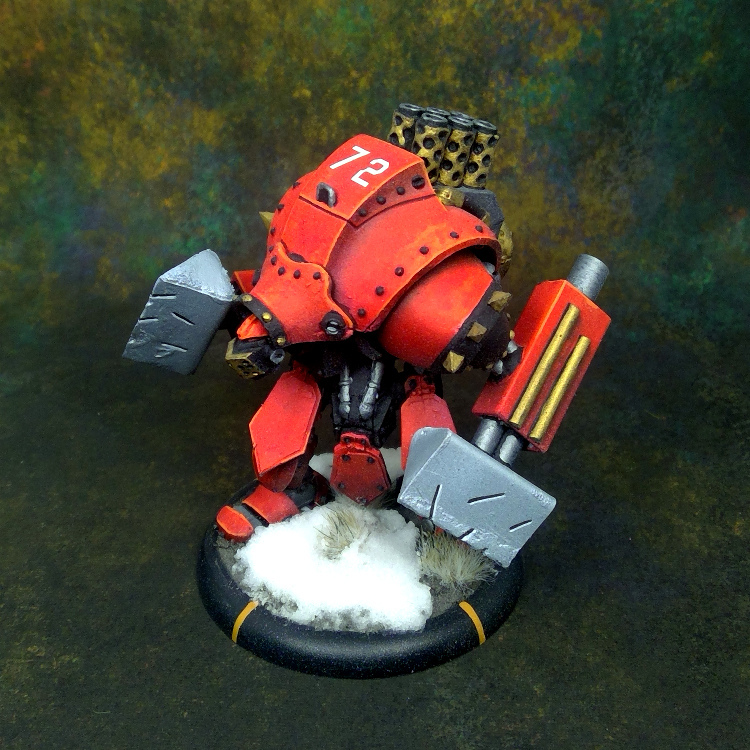 I suppose horse-drawn is appropriate for Khador, but feels like such a let-down vs well… all the other battle engines. But you know what would be cool? A TANK. Certainly a concept that has been done before, and it won’t leave me with a tournament-legal model (not like I ever intend to participate in any but the friendliest of tournaments), but totally worth it. 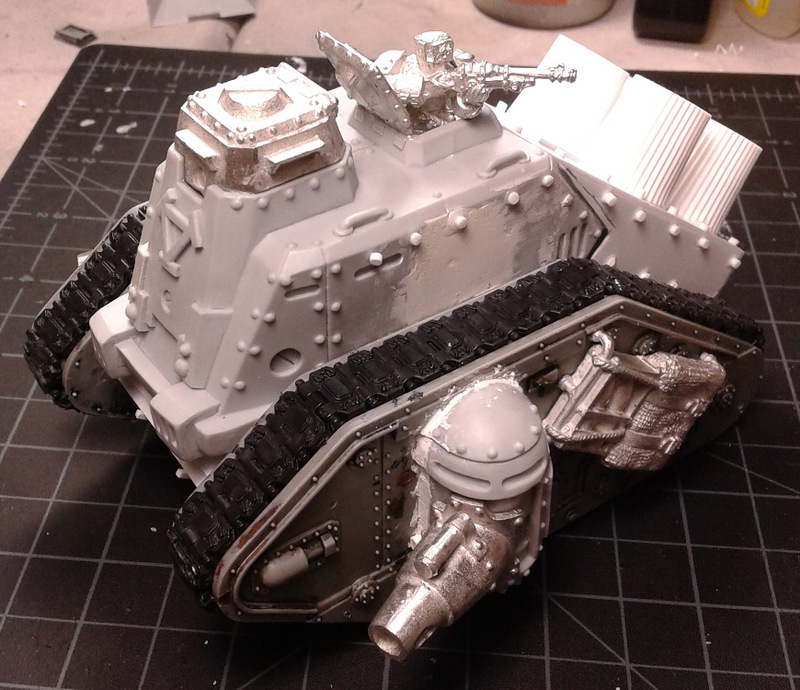 My friend Unit04 gave me some Warhammer 40K Imperial Guard vehicles a while ago, and this time I’m using the Leman Russ tank. 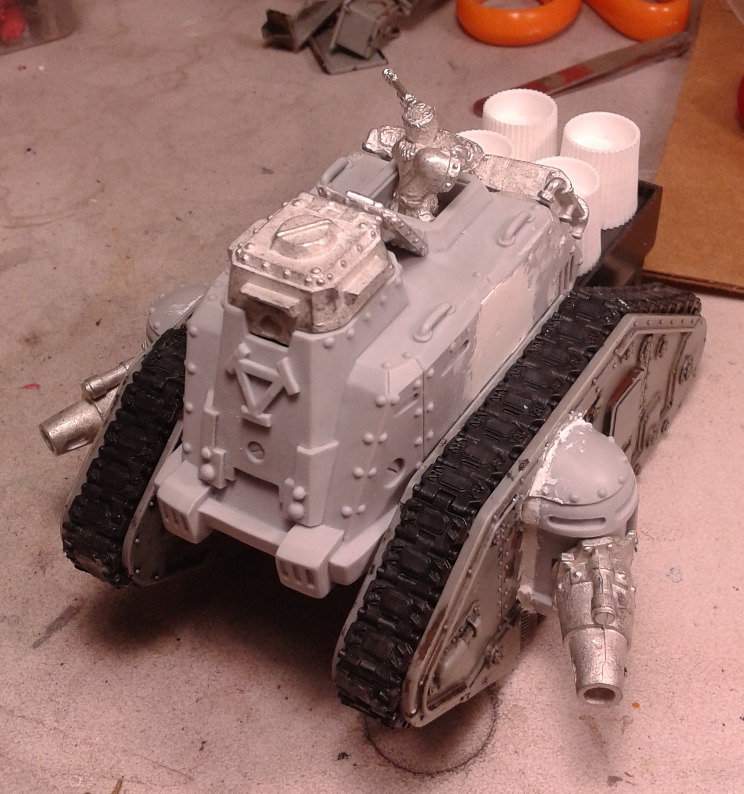 The biggest part I’m using are the tank treads, but I may also chop up the chassis to expand the gun carriage’s chassis. Step one was to separate the sponsons from the chassis. This was probably the single most critical step, since I needed to preserve all three pieces in good condition. I ordered a .01″ thickness razor saw from Amazon which did the trick wonderfully. It only took a little Milliput to hide the work on the chassis. 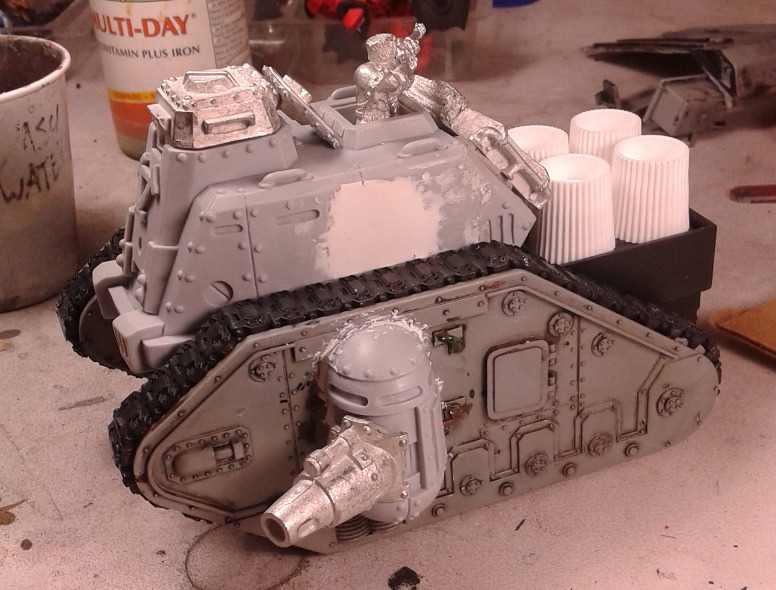 The sponsons were attached to the Leman Russ treads with superglue, then gaps filled with more Milliput. 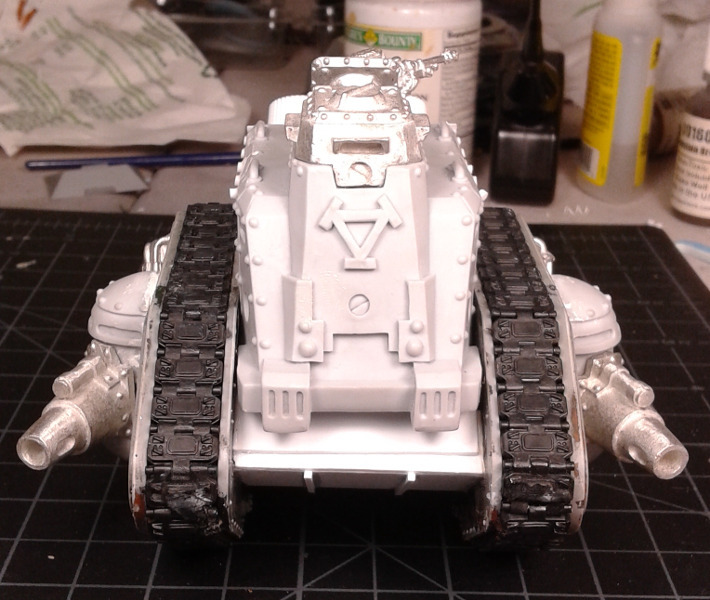 Finally, the chassis was attached to the treads. Next steps are to sand the Milliput and clean up around the sponsons. 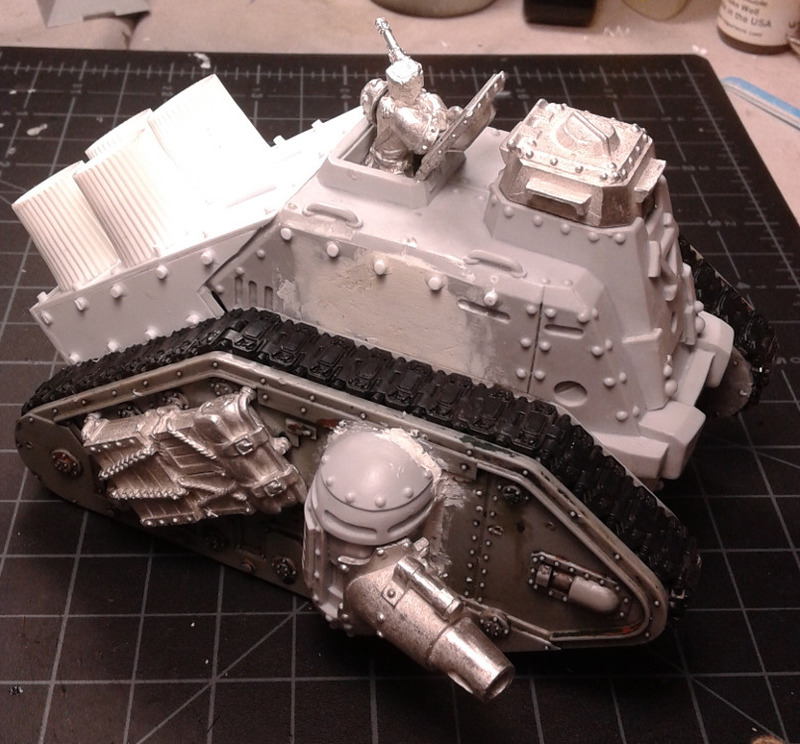 Here are some pictures with various pieces attached with tacky putty, and a mock-up of the rear chassis I’ll have to build. Smoke-stacks will be toothpaste caps.